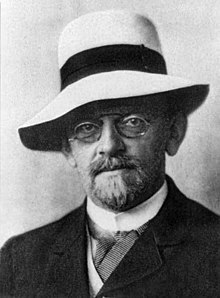 ↑ "David Hilbert". Encyclopædia Britannica. 2007. पहुँचतिथी 2007-09-08. ↑ Zach, Richard (2003-07-31). "Hilbert's Program". Stanford Encyclopedia of Philosophy. पहुँचतिथी 2009-03-23.